Moreover, he will lead the campaign for a mill levy to fund ProComp, the pay-for-performance model that has been approved by teachers and that also has Hickenlooper’s support. Indeed, Bennet is so committed to that model that he hopes to negotiate such a provision as part of his own employment contract, a sure sign of confidence that the job is doable and the challenges are not intractable. On Monday, Bennet said naming a chief academic officer would be among his highest priorities, and that he expects to start a national search for that person soon. That decision, perhaps more than any other he makes early in his new post, could determine whether he achieves the ambitious goal he has set for Denver: to be the best urban school district in the country. Joanne Jacobs has some useful links behind this story, one of which is Siegfried Englemann’s piece on students “who are victims of the unshifted paradigm”. Joan mentioned last night’s Wisconsin Chamber Orchestra’s Concerts on the Square. The concert included the performance of a Dvorak piece by a 16-year old violinist from Janesville Parker, Saya Chang-O’Hara. Conductor Andrew Sewell introduced Saya as follows (paraphrased): “I don’t mean to be political here, but she learned to play the violin in elementary strings“. You have to wonder if the members of the Madison School Board couldn’t benefit from a remedial math course. Last week, with the School District facing the prospect of having to cut $3.1 million from its budget, the School Board voted to add $651,400 in spending. Keys’ words deserve the attention of taxpayers not only in Madison but also throughout a majority of school districts in Wisconsin. Any district that denies the looming threats to its budget risks paying a stiff price. School boards face uncertain budget circumstances. Schools will benefit from an increase in state spending on education in the next state budget. But how big the increase will be remains undecided. This season’s Concerts on the Square kicked off with an interesting medley of polka/waltz/cancans, but the best reason to have attended was the performance of a Dvorak piece by a 16-year old violinist from Janesville Parker, Saya Chang-O’Hara. Put simply, she was brilliant. Juilliard should be knocking on her door any day now. It was an honor to hear her play. But what might be of interest to folks on this site is this: she only started playing when she was eleven, AS PART OF HER SCHOOL’S STRINGS PROGRAM. Corante launched an interesting new blog on the “Future of Work“. Food for thought. On Friday, the state Department of Public Instruction ruled that under Wisconsin law, instrumental music instruction must be available to all students in grades seven through 12 during the regular school day. Besides music instruction, Sherman parents are concerned that few students have the opportunity to take 8th grade algebra and that no child will have the opportunity to take a full year of foreign language prior to high school. Yehle said middle school is a time when students should be sampling many subject areas to gauge their interests and skills, and should be introduced to what it’s like to study a foreign language, rather than develop proficiencies. Sherman principal Ann Yehle’s comments seem at odd with a) Wisconsin’s Model Academic Standards in foreign language which call for “… a strong foreign language program beginning in the elementary grades” and b) Wisconsin’s Administrative Code – Public Instruction, Chapter PI 8 Appendix 8 Instructional Guidelines which recommend 100 minutes of foreign language instruction per week beginning in Grade 5. It’s hard to see where Sherman Middle School’s curriculum is not being dummed down for its students compared to other Madison middle schools and to school districts surrounding Madison WI. Much afoot at Sherman Middle school. MMSD will look at developing a district-wide middle school curriculum. While that might improve the mess at Sherman, it might also mean watering down the curriculum, eg. math, throughout the district. “School Board President Carol Carstensen, who made it one of her priorities to examine how the district’s 11 middle schools are structured and to consider proposals for changes, said that questions and concerns about middle- school curriculum existed before the situation at Sherman boiled over. “It came to a head around Sherman,” Carstensen said. Among the concerns is whether the kind of preparation students receive for high school varies depending on which middle school they attend, she said. In one of her first jobs as the new superintendent of secondary schools, Pam Nash will focus on designing a middle school system that is consistent across the district, Rainwater said. The school cafeteria line is hardly the place to develop healthy eating habits. Forget fruits and veggies — the typical lunch usually contains fast food staples like pizza and french fries. What can — or can’t — school districts do to make lunches healthier? audio. Chez Panisse’s Alice Water’s participated in this program (Waters has been active in Berkeley nutrition programs). The current issue of Fortune (2nd of a 2 part 75th anniversary edition) includes some fascinating examples of leadership and decision making. Jerry Useem summarizes the article. If surmounting your anxieties is step one, step two is letting go of your inner perfectionist because there is no such thing as a perfect decision-maker. Even if you had all the information in the world and a hangar full of supercomputers, you�d still get some wrong. But there�s a big difference between a wrong decision and a bad decision. A wrong decision is picking Door No. 1 when the prize is actually behind Door No. 2. It�s a lousy result, but the fault lies with the method. A bad decision is launching the space shuttle Challenger when Morton Thiokol�s engineers predict a nearly 100% chance of catastrophe. The method, in this case, is no method at all. The distinction is important, because it separates outcomes, which you can�t control, from process, which you can. Wrong decisions are an inevitable part of life. But bad decisions are unforced errors. They�re eminently avoidable—and there are proven techniques to avoid the most predictable pitfalls (see Great Escapes). 20 Decisions that made history is also quite worthwhile. The Madison School Board flirted Monday night with the idea of holding another referendum to seek funding for a second school on the Leopold Elementary grounds, but then backed away from it for now. The board’s Long Range Planning Committee met with parents from Leopold at the school and heard their pleas for another referendum. Two of the three committee members – Juan Jose Lopez and Bill Keys – favored holding another referendum but ultimately moved to table the idea when it was clear that a majority of board members were not ready to go back to the voters so soon after the defeat of a similar referendum on May 24. Virginia will drop a basic skills test for would-be teachers which measures high-school-level reading, writing and math performance. Instead, the state will develop its own test of college-level reading and writing skills. Only math teachers will be tested on math knowledge. Here are “advanced math” test prep questions for Praxis I, which is being abandoned. Thirty-five years out of high school, I can do these problems in my head. It’s hard to believe there are people smart enough to teach who can’t pass a basic math test. How are they going to average students’ grades? Wisconsin has the highest incidence of African-American teen births in the nation. Milwaukee has the highest high school drop-out rates for African-Americans in the country, which is directly connected to the high teen birth rate in our state. In 2001, Milwaukee had the second highest teen birth rate of the nation’s 50 biggest cities. Wisconsin has the 14th highest chlamydia rate (17,942 cases reported) and the 21st highest rate of syphilis in the nation (5,663 cases reported). Almost ½ of all new sexually transmitted infections are contracted by 15-24 year olds, despite the fact that this population only makes up 25% of the sexually active population. The WIAA Board of Controls approved a 7 school co-op which includes all four Madison city schools, Middleton, Waunakee, and Monona Grove for the upcoming 2005-6 season. In a comparison of a 1973 algebra textbook and a 1998 “contemporary mathematics” textbook, Williamson Evers and Paul Clopton found a dramatic change in topics. In the 1973 book, for example, the index for the letter “F” included factors, factoring, fallacies, finite decimal, finite set, formulas, fractions and functions. In the 1998 book, the index listed families (in poverty data), fast food nutrition data, fat in fast food, feasibility study, feeding tours, ferris wheel, fish, fishing, flags, flight, floor plan, flower beds, food, football, Ford Mustang, franchises and fund-raising carnival. he scheme concocted by the pharmaceutical industry and pushed forward by the Bush administration to screen the entire nation’s public school population for mental illness and treat them with controversial drugs was already setting off alarms among parents all across the country. But in the state of Indiana, the alarm just got louder. Tax payers had better get out their check books because school taxes are about to go up as the law suits against school boards start mounting over the TeenScreen depression survey being administered to children in the school. The first notice of intent to sue was filed this month in Indiana by Michael and Teresa Rhoades who were outraged when they learned their daughter had been given a psychological test at school without their consent. In December 2004, their daughter came home from school and said she had been diagnosed with an obsessive compulsive and social anxiety disorder after taking the TeenScreen survey. Does Wisconsin’s method inflate graduation rate? Does state’s method inflate graduation rate? A new report lambastes states across the country for using flawed, and even “irrational,” methods of calculating graduation rates that ultimately dupe the public. The report does not criticize Wisconsin as harshly as a few other states, such as North Carolina, but it does offer an alternative method of estimating graduation rates that would put Wisconsin’s rate at 78% for the 2000-’01 school year, 14 percentage points lower than the 92% rate reported for the 2002-’03 school year. “Every year (states) report these literally preposterous numbers,” said Kati Haycock, director of the Education Trust, a Washington, D.C.-based organization that advocates for disadvantaged students and released the report. The report suggests that Wisconsin and many other states measure graduation rates in a manner that gives an overly rosy, distorted picture of the number of students who are actually finishing high school in the United States. What schools get SAGE next year? What criteria does the district use to select SAGE schools? The board has before it on Monday, June 27, a motion to drop SAGE at Lapham/Marquette (37/24% low-income) and Crestwood (23% low-income). Huegel (41%) and Sandburg (42%) will replace them. The agenda also lists all of the schools scheduled to be designated SAGE schools. The following schools will be SAGE schools though they have a lower percentage of low income students than Lapham’s 37%: Chavez (29%), Muir (29%), Shorewood (28%), Stephens (32%). The following schools with particularly high percentages of low-income students do not appear on the list: Glendale (67%), Lincoln (70%), Mendota (73%), Midvale (65%), and Nuestro Mundo (45%). The MMSD Web site has a list of low-income students in all schools. i had to retire before i could talk about this stuff! Charles Eliot was the president of harvard 1869-1909 is the most evil man in the history of harvard — he set up the high school curriculum that is still in place TODAY. If you ever wondered why you took algebra in high school, is because the guy in princeton was selling a textbook on algebra, so he put algebra on high school curriculum! i’m a math major and a computer science prof, and algebra has never come up in my life, maybe it has in yours. In talks, I’m even more direct. I think “don’t talk to strangers” is just about the worst possible advice you can give a child. Most people are friendly and helpful, and if a child is in distress, asking the help of a stranger is probably the best possible thing he can do. This advice would have helped Brennan Hawkins, the 11-year-old boy who was lost in the Utah wilderness for four days. The parents said Brennan had seen people searching for him on horse and ATV, but avoided them because of what he had been taught. They said they hadn’t talked to Brennan and his four siblings about what they should do about strangers if they were lost. “This may have come to a faster conclusion had we discussed that,” Toby Hawkins said. In a world where good guys are common and bad guys are rare, assuming a random person is a good guy is a smart security strategy. We need to help children develop their natural intuition about risk, and not give them overbroad rules. Newly elected Madison School Board member Lawrie Kobza was wise to move to use $240,000 in money made available by insurance savings to revive Lincoln Elementary School’s Open Classroom Program and to restore “specials” – music, art and gym classes at the elementary schools – to their regular sizes. And the board majority was right to back her move to maintain broadly accepted standards of quality in the city’s public schools. STRASBURG, Pa., June 16 – Mary Mellinger began home-schooling her eldest sons, Andrew and Abram, on the family’s 80-acre dairy farm five years ago, wanting them to spend more time with their father and receive an education infused with Christian principles. Home schooling could not, however, provide one thing the boys desperately wanted – athletic competition. Here’s a list of Wisconsin High Schools included on the Challenge Index. Verona (710) and Madison Memorial (598) were the only Dane County schools included. Milwaukee Rufus King was the top ranked Wisconsin school on the list at 215. Tom Kertscher takes a look at a recent addition to the list, Grafton High School. From this week’s iLaw conference: “Teach the kids to code. Teach the artists to code. Let them control their own culture.” Are we fostering consumers or creative types? Follow the discussion here. On a percentage basis, current law and the Governor’s proposal would provide the average district with per pupil revenue increases of approximately 2.9% in each year (over the state average base revenue per pupil of $8,415 for FY05). Under the JCF version of the budget, the allowable increase would be reduced to 1.4% in FY06 and 1.2% in FY07. The net increase in school district revenue limits after the JCF reductions to current law can also be compared with the increase in the all-funds state budget adopted by JCF. Compared with the fiscal year 2004-05 base of $24.9 billion, the JCF budget increases all funds spending over the prior year by 5.0% in fiscal year 2005-06 and 2.4% in fiscal year 2006-07. The increase to general fund spending in the JCF budget over the fiscal year 2004-05 base of $12.0 billion is 7.7% in fiscal year 2005-06 and 2.6% in fiscal year 2006-07 over the prior year. I thought she was merely endorsing the anti-war position. But my son set me straight. This student actually believed that if she had lived at the time, she might have been drafted. She didn’t understand that conscription in the United States has always applied to males only. How could she have known? Our schools teach history ideologically. They teach the message, not the truth. They teach history as if males and females have always played equal roles. They are propaganda machines. The West side task force will presumably tackle the problem of Leopold overcrowding. The body should definitely include representatives of those of us who voted against the referendum on building a second school at Leopold. Hopefully, an inclusive group will produce a proposal that can win wide-spread support. A task force only of supporters will likely fail to gain needed public confidence. The Wisconsin Assembly approved a new two year state budget early this morning by a 56-40 vote. Spending increases 6.4%, while the percentage of funds generated by sales taxes goes up 9.9%. Governor Doyle proposed a 16% (!) increase in road projects to 4.4billion. Republicans added $93M to that, creating a 18% increase in road spending. State support for local school spending grows 8.6% (458M) to 5.3billion (Doyle proposed a $938M increase, “paid” for by additional state borrowing and transfers from other programs). Phil Brinkman does a great job summarizing the budget. I appreciate the fact that he included total spending dollars along with the increases. Stacy Forster and Patrick Marley also summarize the Assembly’s budget. WisPolitics’ Budget Blog tracks the Assembly’s activities. But supporters of the music programs realize that in Germantown – and throughout the Milwaukee area – most borrowing referendums for school building projects have failed in the past year and a half. So they are trying a new approach: Before asking for public money, they plan to raise private money to help fund additions to the high school. The reprieve from financial pressure will be relatively short-lived. The district still faces a $13.4 million shortfall next year and likely will be asking voters again for a boost in funding. Rather than resting on the success of the spending referendum, School Board members already were looking ahead to future challenges. Bangs said the board will continue to search for ways to make the district more efficient so that next year, if finances necessitate it, the district will attempt to pass a spending referendum for a minimal amount. At the beginning of the 21st. Century, all educators and all educational institutions, at all levels of education provision, are faced with the greatest time of possibility for change and evolution or stagnation and regression. 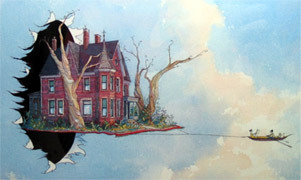 Barker, 1978 in New York, stated that “action with vision can change the world” and the authors, based on their many years of experience working in both traditional and managed or virtual, E-Learning, lifelong-learning environments contend that the promotion of critical thinking is a key element in meaningful, responsible and soulful learning. Our ‘raison d’être’ as educators is to prepare our students for the society which does not yet exist and in doing so, provide them with opportunities to critically assess and transform their experiences into authentic learning experiences (Ó Murchú, 2005). This article explores the thought processes, realities and perceptions of the authors’ on-going experiences in on-line classes and gives their insights into promoting critical thinking in these Managed Learning Environments (MLEs). Elementary Specials: Funding Restored for All Elementary Special Classes Except Strings? Can That Be Correct? At the Monday June 20, 2005 MMSD School Board meeting, funding was restored for music, art and gym elementary specials for a total of about $550,000. Can it be possible that all elementary specials, except elementary strings, would be restored? I can’t believe this. Isn’t the elementary string course an elementary music special (part of the School Board approved music education curriculum). If this restoration of funds exclude the elementary string teachers, isn’t this even more demoralizing to a small group of teachers who have already seen 60% of their colleagues laid off. And, what about the nearly 2,000 children who will only learn half what they previously learned in two years – that’s okay? How can these children’s education NOT be affected if they are only learning half the curriculum? The Administration in March and the School Board last night have made all these decisions without asking one single question about the impact of their decisions on what children will be able to learn. They did not ask one single question about what planning has taken place in music education curriculum in the past year. There hasn’t been any. Money is not the only issue. I believe a lack of strategic planning in fine arts is an issue. I’m coming to think this about foreign language and more advanced math in middle school – challenging curriculum in general. Progressive curriculum planning in the face of draconian budget constraints is desperately needed in music education and has not taken place over the past five years that courses have been on the chopping block. Administrative staff admits they have not assessed music curriculum. Without further exploration, staff continues to think only general music is needed. Administrators do not want to pay attention to music education in my opinion, so parents, teachers and the community need to let our School Board know action is needed (comments@madison.k12.wi.us). under AB 100 as proposed by the Governor and the Joint Finance version of the budget. AB 100 and the Joint Finance provisions compared to the 2004-05 base year. Princeton’s First Annual Art of Science Exhibition is now online. Via Virginia Postrel. How far can schools stretch their dollars? Let’s say your parents base your budget for gasoline for the year on $1.75 a gallon. The next year, Mom and Dad say, we’re increasing your allowance to cover $2 a gallon. But gas now costs $2.30. There has to be more of a middle ground here that I would challenge both parties to deal with. They’re not serving the state very well with this kind of polarization. Have your folks given you an increase? Of course. A big one, if you look at the percentage. Have they given you a decrease? Of course. There’s no way you’re going to be able to drive as far you did last year with less gasoline. Welcome to the intense, real and genuinely important debate over state funding of education for the next two years. Republican leaders are saying the increase in education funding for the next two years, approved by the Joint Finance Committee and heading toward approval by the Legislature itself, calls for $458 million more for kindergarten through 12th-grade education for the next two years, a large increase that taxpayers can afford. Democrats and a huge chorus of superintendents, teachers and school board members around the state are protesting, saying that the increase will mean large cuts in the number of teachers and the levels of service for children because it doesn’t contain enough fuel to drive the educational system the same distance as before. Please write/call legislatures ASAP – the legislature plans to take up the proposed budget this coming week, and the proposed budget for education is a disaster for our children’s future and our state’s economic health. The Republican legislature is planning to move forward with a proposed state budget that is attempting to back off once again 2/3 state funding of schools with some fancy language. Just like that – saying we are already giving the largest increase in history to education. Ostensibly about how short-sighted the legislative cuts are to the UW system, this guest MJS business op-ed addresses a few big issues affecting how we finance public education in general. Of particular interest was this: “Working with a team of business leaders to explore strategies that would free resources to enhance educational outcomes. Do we need 16 school districts in Dane County? Could distance education better leverage UW’s teaching stars? Finding a lower cost health care benefits solution that mirrors private sector changes to build more consumerism into health care decisions. Working with Doyle to find a better K-12 school financing system that also recognizes the need for some degree of spending limits in our schools. There are two episodes that account for most grade inflation. The first is from the 1960s through the early 1970s. This is usually explained by the draft rules for the Vietnam War. The second episode begins around 1990 and is harder to explain…. Alex Tabarrock offers some additional thoughts & background links. A Taxpayer Bill of Rights is a long overdue addition to the architecture of state constitutions. Proposition 13 halted the aggressive encroachment of state government more than 25 years ago, but only temporarily: Even after adjusting for inflation, most state tax collections are two to three times fatter than they were then. The painful experience since is that only hard and fast constitutional limits can rein in the powerful spending interests that live off the government. Another important tool in alleviating tax and spend “ratchet-up” is the Taxpayer Bill of Rights (TABOR). This budget tool requires that excess revenue growth (in excess of population plus inflation) be rebated to the taxpayers. TABOR also requires voter approval for tax increases. At the root of the issue is an education funding system approved by the Legislature a decade ago, when Republican Tommy G. Thompson was the governor. It created a cap on how much school districts could spend each year for general operations. In general, two-thirds of that amount was to come from the state with the rest from local property taxes. I think what I found most disturbing about the elimination of band, orchestra and vocal music from the school day in Sherman Middle School was the exclusion (almost isolation) of music staff by other Sherman staff from the front of the room at the parent meeting in early June to present the exploratory changes being mandated including questions/issues surrounding the music curriculum at Sherman. I found the a) open irritation by some Sherman Middle School staff toward the music staff shocking, b) the lack of music curriculum assessment and planning for the changes unsettling, and c) the exclusions of parents and students in the process alarming. Anakin wins that race by repairing his crippled racer in an ecstasy of switch-flipping that looks about as intuitive as starting up a nuclear submarine. Clearly the boy is destined to be adopted into the Jedi order, where he will develop his geek talents – not by studying calculus but by meditating a lot and learning to trust his feelings. I lap this stuff up along with millions, maybe billions, of others. Why? Because every single one of us is as dependent on science and technology – and, by extension, on the geeks who make it work – as a patient in intensive care. Yet we much prefer to think otherwise. Scientists and technologists have the same uneasy status in our society as the Jedi in the Galactic Republic. They are scorned by the cultural left and the cultural right, and young people avoid science and math classes in hordes. The tedious particulars of keeping ourselves alive, comfortable and free are being taken offline to countries where people are happy to sweat the details, as long as we have some foreign exchange left to send their way. Nothing is more seductive than to think that we, like the Jedi, could be masters of the most advanced technologies while living simple lives: to have a geek standard of living and spend our copious leisure time vegging out. If the “Star Wars” movies are remembered a century from now, it’ll be because they are such exact parables for this state of affairs. Young people in other countries will watch them in classrooms as an answer to the question: Whatever became of that big rich country that used to buy the stuff we make? The answer: It went the way of the old Republic. If there is no money, cut arts education is the decisions administrators make – often, though, without first looking at the impact on student’s achievement (using readily available data) or without consideration of the impact on who will stay/leave a school. Couldn’t decisions made in the absence of examining data and listening to parents cost far more in lost revenue and prestige than the cost of a class? When I read about the cuts to music education at the elementary school level, the primary reasons given are that these cuts were due to budget constraints and pull-out programs are difficult to schedule. When I read about the cuts to Sherman Middle School’s vocal and instrumental music program from the regular school day, the primary reasons given are lack of interest (decline in enrollment during the past several years coincidentally matches the current principal’s tenure) and the principal’s requirement for heterogenous classes and mandated exploratory options for Sherman’s children. Yet, when I read the national news, research and hundreds of other documents I learn that a) music improves children’s peer relationships and academic performance in schools and b) schools with a signficant low income student body that increase their arts education see significant increases in these children’s test scores. If you have already received this Update, our apologies. We are trying to inform parents about this important budget issue before the Legislature votes next week. The attached information outlines changes Republican leaders made to Gov. Doyle’s budget. Please take a moment to call Senate Majority Leader Dale Schultz and Assembly Speaker John Gard (contact information in news update) to express your opposition to cutting back on the allowable per pupil revenue limit increase. Gov. Doyle’s budget allows a $248 per pupil increase for next school year, the GOP plan, $120 (would require an additional $3.1 million cut to the budget BEFORE it is finalized this October); for the 06-07 school year, the Gov. allows an increase of $252 per pupil, the GOP plan $100 per pupil (would require MMSD to cut $6.9 million in 06-07). Read about the new vision of public education in Milwaukee at: http://www.jsonline.com/news/metro/jun05/334378.asp . Sherman’s parents are puzzled and frustrated. Music classes for instrument and vocal will be during the day, but the classes will be pull out classes! Little solid evidence is available to gauge whether the federal government’s multibillion-dollar Reading First initiative is having an effect on student achievement, but many states are reporting anecdotally that they are seeing benefits for their schools. Among those benefits are extensive professional development in practices deemed to be research-based, extra instructional resources, and ongoing support services, according to an Education Week analysis of state performance reports published June 8, 2005. Some time ago, Ruth Robarts wrote about the Madison School District’s Courier system, used to deliver hard copy documents to School Board members. The IRS recently announced that in an effort to reduce costs, they elminated the annual delivery of paper tax forms to practioners, substituting electronic distribution. Milwaukee Public Schools (MPS) today announced the second phase of its community engagement initiative regarding the future use of its facilities. School officials will again host a series of meetings to seek and gather information from teachers, principals, community organizations and parents. MPS must eliminate vacant space that exists because of a downward trend in enrollment, and make solid decisions regarding dwindling resources. MPS currently has 95,600 students, but it operates buildings that, combined, feature room for 122,000 students. A well written article by a teenager on the state of youth sports today and the overemphasis on competition and winning as the main value. Need to continue to emphasize fun and skill development. I am lucky. I have been playing the violin since I was in the fourth grade. I was exposed to music at an early age and music has helped me gain skills that have enhanced my school career. Through music, I learned self-confidence, self-discipline, time management, cooperation and study skills. Unfortunately, many young people may not have the opportunity I had. The elementary strings program costs only $500,000 in a budget of about $300 million. School board members recently decided to keep the elementary strings program next year in some form, while cutting approximately $500,000 overall out of the music-education programs. Curriculum, School Climate, Student Support, What Can I Do? The obvious way to deal with this is to use the education system to guarantee a level playing field. Improve educational opportunities for the poorest Americans, make sure that nobody is turned away from university on grounds of financial need, and you will progressively weaken the link between background and educational success. Alas, there are at least three big problems with this. The first is that the schools the poorest Americans attend have been getting worse rather than better. This is partly a problem of resources, to be sure. But it is even more a problem of bad ideas. The American educational establishment’s weakness for airy-fairy notions about the evils of standards and competition is particularly damaging to poor children who have few educational resources of their own to fall back on. One poll of 900 professors of education, for example, found that 64% of them thought that schools should avoid competition. I was recently informed that you spoke to Mark Messer, Memorial High School orchestra teacher, about the 4th and 5th grade Strings classes. I am shocked to hear that you have moved to eliminate fourth grade Strings classes based upon a conversation with him, and a hurried and undiscussed vote from Strings teachers that you solicited by e-mail the day before school was out. Music education in Madison’s public schools has been on the chopping block for the past four years, beginning with the Superintendent’s proposed cut to Grade 4 strings. All the proposed cuts were made without any planning for changes, and the harshest cuts came this year, again without any planning for change among the key stakeholders and those most affected by the change – our children. This past year, in the absence of a fine arts coordinator, a team of teachers was to be put into place to oversee fine arts education – this did not happen but an interim fine arts coordinator was hired in the spring. Perhaps it’s time for the community to form a task force to collaborate on future directions and an educational framework for music education in our public schools? This spring 60% of the elementary string staff was cut – 4 FTEs will teach nearly 2,000 children in 27 schools next year, 10% of the elementary music staff was cut and instrumental and vocal music were proposed for afterschool at Sherman Middle School. Well-reported story on the realities of school choice in Milwaukee. Vouchers are the lifeblood of religious schools in Milwaukee and religion permeates instruction. A new worldwide chain of for-profit colleges started to go public with its plans last month for Whitney International University, which will offer a range of programs in numerous countries. At the time, Best Associates, the Dallas-based merchant bank that is creating Whitney, said it also had plans for teacher education in the United States. Those plans are now starting to emerge — and the American College of Education, as this effort will be called, represents a new model for training teachers. In fact, organizers of the teacher education program make no effort to hide their disdain for most programs that exist today. Despite increasingly tough standards, the number of Wisconsin schools that will be flagged this year for failing to meet federally mandated reading and math goals will be less than half what it was last year – 51 as opposed to 108 – but not because things are getting better. Rather, it is the state’s controversial calculation method that allows schools to miss the goals by substantial percentages without having it count against them. For the same reason, only one school district in the state will be flagged for failing to meet the federally mandated standards, whereas last year 30 school districts were listed as failing to make enough progress. The dramatic shift is due to the use of a statistical tool known as confidence intervals. FYI: the mayor will attend the 2nd annual Allied Drive open house tonight. The event starts at 5:30pm, with a short speaking program at about 6:15pm. In addition to the mayor, Art Rainwater and Kathleen Falk are also expected to attend. The open house is an opportunity for Allied Drive residents and service providers to meet with each other and their elected officials to discuss issues important to the neighborhood and learn about available services from city, county and non-profit agencies. Food, childcare and Spanish and Hmong translation services are all offered at the event. “At Marquette Elementary, Lapham’s 3rd through 5th grade sister school, skillful use of Direct Instruction has resulted in reading scores for Marquette third-graders that are virtually unsurpassed district-wide. Scores for black students particularly stand out. What’s the Future for Ads in the Madison Schools? Johnny Winston Jr., chair of the Finance and Operations Committee of the Madison School Board, kicked off a new discussion of the possible role of business ads to raise money for our schools at the June 13 meeting of his committee. Committee member Lawrie Kobza asked the administration to bring back information about what other districts are doing beyond the advertisements in yearbooks, school newspapers and the like. Good ideas, both. However, why stop there? 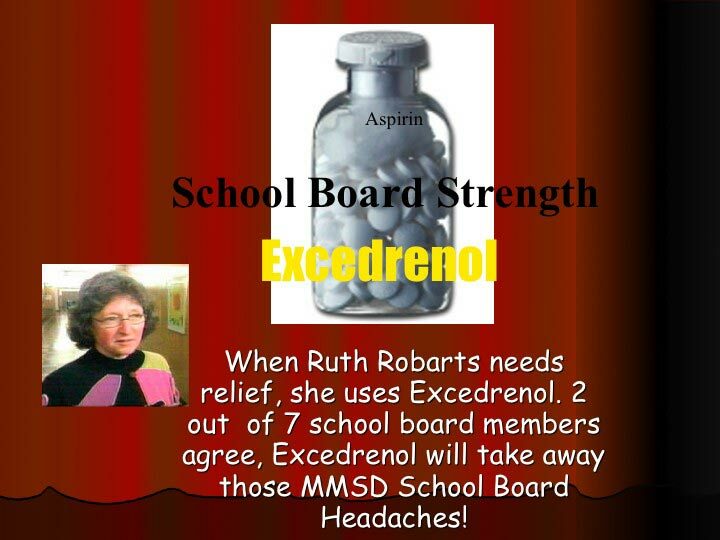 Maybe there are products looking for School Board member endorsements. Madison School Board Vice President Johnny Winston, Jr. held a Finance & Operations Committee meeting this evening. Winston discussed and sought feedback on new methods that the Board and District might use to interact with the public. Notes and links are available on the Finance & Operations Committee Blog. The Madison School District has a useful summary of current and completed grants. The page includes the type of grant, amount and Project Director. Please check my figures with the official tally. I want to be certain the numbers are correct. I’d also like to break down the vote by high school attendance area, but that will take a little time. Anyone else willing to do it? So they make the arts unworkable in early elementary school, they gut the incredibly successful elementary strings program, they remove band and orchestra from core curriculum in middle school … and then they are going to complain that there is no diversity in the high school bands and orchestras and — CHOP. There is something fundamentally wrong with what is happening in Wisconsin’s Capitol city — a community that just built a $200 million arts district downtown, as these short-sighted and creatively stunted bureaucrats make it unlikely that many Madison kids will end up on Overture’s stage in the future unless they have the money to buy private lessons. Can Madison turn this disgraceful situation around before the existing cost-effective MMSD music education curriculum implodes and vanishes from public school and performance music education is only for those who can pay? Alan Borsuk & Sarah Carr visit many Milwaukee voucher schools. Here’s their story. State lawmakers once again faced a tough job with few easy answers when Gov. Jim Doyle handed them his state budget request four months ago. Credit the Legislature’s Joint Finance Committee for resisting a borrowing binge and for slapping Doyle’s hand when he reached for pots of money he shouldn’t touch. The committee, led by Rep. Dean Kaufert, R-Neenah, and Sen. Scott Fitzgerald, R- Juneau, reversed about half of Doyle’s raid of highway dollars and stopped him from looting an account that pays for medical malpractice claims. Money for those programs comes from fees and taxes that users pay with the understanding those dollars won’t be diverted. The committee also stopped Doyle from borrowing money based on the future collection of excise taxes. Instead, the committee paid for medical care for the poor, elderly and disabled with real dollars. That’s the good part, along with the committee’s empathy for the beleaguered property taxpayer. But let’s remember how the state’s finances got screwed up to begin with. State leaders patched gaping holes in past budgets using one-time money that’s now gone. They also backloaded past budgets to push higher costs – both for expensive new programs and tax cuts – into the future. Pat Scheider writes about East High United, a new parents advocacy group. While the intent of the No Child Left Behind Act was praiseworthy, the means put in place to achieve the goals are flawed in several ways. Madison Teachers, Inc., the Madison teachers’ union, has recently ratified its collective bargaining agreement with the Madison school district for 2005-06 and 2006-07. Later this month, the Board of Education will have its chance to ratify the agreement, although the board gave preliminary assent on June 6. On June 10, Isthmus writer Jason Shepard provided an excellent analysis of the ways that providing Wisconsin Physicians Service (WPS) to the teachers drives up the cost of each contract. The article also questions the relative quality of the WPS coverage. See “District ties to WPS prove costly”, available at many locations in Dane County. The following graphs, based on data from MMSD, illustrate the impact of high cost WPS coverage on the cost of the two-year contract and the extent to which access to WPS coverage for roughly half of the teachers receiving health insurance through MMSD erodes wage gains. The Legislature’s Joint Finance Committee adopted a budget early today that tightly limits property taxes, cuts the gas tax by a penny and phases out taxes on Social Security benefits. The budget includes $458 million more for schools, less than half what Democratic Gov. Jim Doyle proposed in his version of the budget. The state is spending about $5.3 billion on schools this year. The Republican-controlled committee passed the budget on an 11-5 vote at 6:15 a.m., after all-night deliberations. Sen. Robert Cowles (R-Green Bay) joined the four Democrats on the committee in voting against the budget, which he said included too much spending and borrowing. Republicans said schools would flourish under their spending plan, and warned Doyle not to veto their school budget or their property tax limits. If Doyle did so, schools could raise much more cash, but it would come from local property taxes instead of state income and sales taxes. Governor Doyle referred to this as a “cut”, while, in fact, state aid to local schools will evidently continue to go up – more than twice as much as the current budget. It would be great if the politicians would be truthful… on both sides. UPDATE: Phil Brinkman adds more details: evidently the Republicans (read this carefully) reduced the allowed increase in per pupil spending from $248 in 2005/2006 and $252 in 2006/2007 to 120 and 100. So, if I read all this correctly, spending continues to grow, just at a lower rate. The Republicans claim that the 248 and 258 increase from the current per pupil spending amounts would lead to large local property tax jumps over the next two years. UPDATE2: More from JR Ross. Via Wispolitics. Ross points out a great example of the doubletalk: the Republicans bill cuts the gas tax by .01 BUT, the tax is indexed to inflation so it actually increases annually anyway. But while federal and state legislators congratulate themselves for their newfound focus on school accountability, scant attention is being paid to the quality of the data they’re using. Whether the topic is violence, test scores, or dropout rates, school officials have found myriad methods to paint a prettier picture of their performance. These distortions hide the extent of schools’ failures, deceive taxpayers about what our ever-increasing education budgets are buying, and keep kids locked in failing institutions. Meanwhile, Washington—which has set national standards requiring 100 percent of school children to reach proficiency in math and reading by 2014—has been complicit in letting states avoid sanctions by fiddling with their definitions of proficiency. The federal government is spending billions to improve student achievement while simultaneously granting states license to game the system. As a result, schools have learned to lie with statistics. 6. Nontraditional Communication Strategies to Speak to Community Stakeholders. For me, “communication to” and “speak to” is vastly different than “communication with” and “speak with” — like the difference between “lightening” and “lightening bug”. I can hear the failed referenda supporters and the supporting press editorials: Just needed a little better PR. “With” has this strong flavor of team work, working together, listening: dialog!. “To?” Well, that has been the legacy of the Administration and Board. But, no, folks. “With” is not a four-letter word. It needs to be used, again and again, until it becomes part of the Administration’s and Board’s culture. So when I found a new attack on the National Council of Teachers of Mathematics (NCTM), the nation’s leading association for math teachers, by a group of smart advocates, I saw a chance to bring some clarity to what we call the Math Wars. For several years, loosely allied groups of activist teachers and parents with math backgrounds have argued that we are teaching math all wrong. We should make sure that children know their math facts — can multiply quickly in their heads and do long division without calculators, among other things — or algebra is going to kill them, they say. They blame the NCTM, based in Reston, Va., for encouraging loose teaching that leaves students to try to discover principles themselves and relies too much on calculators. The Wisconsin Alliance for Excellent Schools (WAES) is a statewide network of educators, school board members, parents, community leaders, and researchers. Its Wisconsin Adequacy Plan — a proposal for school-finance reform — is the result of research into the cost of educating children to meet state proficiency standards. Just when public school advocates thought funding problems couldn’t get any worse, the Wisconsin Legislature’s Joint Finance Committee (JFC) proved them wrong. Early Friday, the panel adopted motions that not only reduced the Governor’s public school budget by over $300 million, but also slashed the public school revenues local school boards anticipated in their budgets for the 2005-06 school year. In addition, the committee drastically reduced Governor Jim Doyle’s categorical aid package. While there was a need to do something to improve school mathematics education, NCTM did not face up to the most critical problem, the lack of firm content knowledge of far too many teachers. There were other lacks in their program. NCTM did not look seriously at mathematics education in other countries. Mathematicians were not involved in the development of the Standards. The NCTM authors of their Standards had the strange notion that it is possible to teach conceptual understanding without developing technical skill at the same time. Instances of all of these failures and what came from them will be given below. Elementary school mathematics, it turns out, is not so elementary. This means that teaching it well requires much deeper mathematical knowledge than almost everyone has thought. There will be no math reform unless we provide teachers with the training, textbooks, time, and support needed to develop this knowledge. The NYTimes’ Tom Friedman has a nice piece on the importance of good teachers in our children’s education. As the mother of a graduating senior, I wish there was space here to list the terrific teachers (as well as TAG and guidance staff) both our children had while attending Franklin/Randall, Wingra, Hamilton and West. Our deepest gratitude to those who helped our kids love to learn. Why is the MMSD annexing more students on the West side when there’s such a concern about space? What attendance areas include the annexed land? I wonder too about the fiscal impact of adding more students. Will more students lead to more program cuts, so that the additions really become a fiscal drain rather than a fiscal benefit? I’m not trying to be difficult, I’m genuinely asking why adding students is a good idea. It may be a perfectly good approach, but it just seems odd given the controversy about West side enrollment and overcrowding. I’ve actually been wondering whether the MMSD shouldn’t give up some kids to other school districts on the West side. In particular, I wonder about the penninsula that feeds into Leopold. Or by contrast, annexing the land and kids who lie between the penninsula and Chavez and building an elementary school in that annexed territory to relieve the overcrowding at Leopold. I’m not advocating anything, so don’t “bust my chops.” I’m just thinking out loud. Little did I know when I published an article in 1955 on “The Role of Government in Education” that it would lead to my becoming an activist for a major reform in the organization of schooling, and indeed that my wife and I would be led to establish a foundation to promote parental choice. The original article was not a reaction to a perceived deficiency in schooling. The quality of schooling in the United States then was far better than it is now, and both my wife and I were satisfied with the public schools we had attended. My interest was in the philosophy of a free society. Education was the area that I happened to write on early. I then went on to consider other areas as well. The end result was “Capitalism and Freedom,” published seven years later with the education article as one chapter. It may be even worse than Obama imagined: It’s not just black children who face ridicule and ostracism by their peers if they do well in school. The stigmatizing effects of “acting white” appear to be felt even more by Hispanics who get top grades. On the day Dante Hamilton came to Nathaniel Hawthorne Elementary School on Milwaukee’s North Side, he was like most African-American children who enroll in urban school districts in the United States. He was already behind. . . .
Fortunately for Dante, he had what the Chinese call the luck of time and place when his mother enrolled him at Hawthorne. Today, at age 10, he is a fourth-grader who reads at a sixth-grade level. The article continues for several pages and insightfully covers a wide range of relevant topics on schools. Christina Daglas article in the Cap Times on 6/8/05 refers to John Matthews, head of MTI, and his position on the board of WPS the insurance company that provides policies to the Madison school teachers as not having a conflict of interest. I have no information that Mr. Matthews has done anything wrong however, I strongly dispute the fact that this is not a conflict of interest. This is the first I have heard of his position on the board of WPS. I have asked the board many times why teachers are under such an expensive health care contract when many families in the community of Madison are well served by U.W. providers under a less expensive program, mine included. I was told many times the cost savings would be small to switch to a different carrier but this newly revealed information makes me question whether that is true or not. Per the Capital Times, Mr. Matthews fails to see a conflict of interest…..he fails to see a conflict of interest. I guess I keep repeating this statement and wondering how he can not see a conflict of interest. Anyone else see a conflict of interest? Who will invite me to talk with them? Thank you to Troy Dassler, Marisue Horton, and others who commented on my report on the meeting of the Long Range Planning Committee on Monday, June 6. Several people objected to my characterization of the some of the presentations as nasty and bitter. I know that it’s hard to perceive Leopold leaders and supporters as anything but polite, but I was shocked when they launched into immediate denunciations of Ruth Robarts and Lawrie Kobza, blaming them for the defeat of the referendum. A smaller-than-expected contract for Madison teachers would leave about $400,000 for the School Board to spend on cash-strapped programs, although critics say more was available. Superintendent Art Rainwater and board President Carol Carstensen would not speculate Tuesday on what programs could benefit, but board member Ruth Robarts said maintaining the Open Classroom program at Lincoln Elementary School and alleviating planned class-size increases for art, music and gym teachers could be possibilities. Rainwater, Carstensen and Madison Teachers Inc. Executive Director John Matthews presented the proposed contract at a news conference at MTI headquarters Tuesday. This information was given to Madison school board members via Joe Quick, Legislative Liaison. Q: How many board members does it take to change a lightbulb? No one is going to win as long as there is a divide between the board and the community. It would be great if it were as easy as “we need to educate people,” or, “we need to reach more people,” to pass a referendum as Carol Carstensen has suggested. But that does not appear to be the case. The issue is not educating, it is persuading people that the board’s strategies are the best options. That cannot be done until all options are on the table with accurate, verifiable, comparative costs and impacts presented so that people can join the board and the administration in supporting its strategies. This has not happened and, based on the last school board election and the referendum votes, more mailings and radio ads with the same positions is not likely to get more support for the board or its choices. Using committee meetings to denounce members of the board and citizens who care enough to come to meetings as enemies of public education is not a step forward, either. Particularly when the bashing is based on assumptions rather than fact, as in Juan Lopez’s decision to bash Barb Schrank. Apparently Mr. Lopez was unaware that Barb voted yes on all three questions AND openly urged others to do so. Just how does attacking her publicly win him support for his stated cause? How can you claim the moral high ground when you’re denying him a chance to escape to a better private school? Well, the public system did lose $4,400, but that’s actually $1,000 less than the cost of educating the average student and there was one pupil fewer to teach. As enrollment has dropped at Edison, the student-to-teacher ratio has improved to about 22 from about 30. In the past two years, a new principal has revamped the administration and replaced half the teachers in the school. Under the new leadership, the average test score at the school last year rose dramatically – one of the largest increases of any high school in Florida. Edison’s improvement is not an isolated example, as three separate studies have found in Florida. Test scores have gone up more rapidly at schools facing the threat of vouchers than at other schools. The latest study, by Martin West and Paul Peterson of Harvard, shows that Florida’s program is much more effective than the federal No Child Left Behind program. Click to watch this event The Madison Board of Education’s Long Range Planning Committee met on the 6th. Arlene Silveira and Beth Zurbuchen lead along with many others spoke about the failed referenda and next steps. Results and background here. Arlene and Beth were prominent members of Madison Cares, a group that spent heavily in favor of the referenda. Don Severson, President of Active Citizens for Education also spoke at this event and recommended that the District look at the entire west side, not just Leopold. Severson also argued for a very open discussion with the community. Union and district officials announced today a tentative teaching contract settlement for the period beginning July 1, 2005 through June 30, 2007. The contract was given preliminary approval by the Board of Education Monday night, and the union membership will vote this Thursday. In light of the referenda failures its time for the district to drive a hard bargain with the union concerning its intransigence with respect to health insurance carriers. My research indicates there is a win/win solution for teachers, the district and students but WPS has a lot to lose (~8% of its group health business) and won’t give up easily. It is unclear whether, at this point in time, John Matthews is serving the teachers or serving WPS. In any case, I am certain WPS will not give up its favored and special access position at the bargaining table without a big fight. However it is time to face that battle head-on on behalf of teachers, students, taxpayers and most of all the children who are adversely affected when staffing is reduced and programs are cut. which hopefully will be of assistance to you in driving a hard bargain on the subject of health care costs. Editorial note: Carol Carstensen contacted me to correct the sequence of events at the Long Range Planning Committee meeting on Monday, June 6. She initially suggested the formation of a task force, but couldn’t make the motion because she does not formally serve on the committee. I apologize that I missed her suggestion. Many of the people who spoke earlier had begun to leave and two or three board members seemed to be talking at the same time. Leopold school supporters packed room 103 of the Doyle Building to speak at a meeting of the Long Range Planning Committee on Monday evening, June 6. Arlene Silveira led off with a bitter attack on Ruth Robarts and Lawrie Kobza, accusing them of causing the defeat of the referendum to build a second school on the Leopold school site. Beth Zurbachen followed with an equally nasty attack. Nearly two dozen more Leopold supporters continued the assault for almost two hours. Ironically, Lawrie Kobza, at Carol Carstensen’s suggestion, kept their hopes alive. Carol offered the idea of forming a task force. Since she isn’t a formal member of the committee, she could not make a motion. Instead Lawrie made, Juan Lopez seconded, and the committee approved a motion to form a task force to explore attendance issues on the West side. If Carol hadn’t made the suggestion and Lawrie had not made the motion, the committee would have adjourned with absolutely no movement on solving the overcrowding problem at Leopold, and probably no possibility of considering the issue until late in the summer. Carol deserves praise for recognizing the need to restart an examination of the overcrowding on the West side. Lawrie also deserves praise for not behaving vindictively against the Leopold supporters who blasted her. Instead she was more than willing to move toward an inclusive process that might just give the Leopold supporters and all West side children an option to overcrowding. This is a letter from Sherman Principal, Ann Yehle via Superintendent Rainwater to school board members regarding NOT moving Band & Orchestra to “8th Hour” for the upcoming year. I do have a copy of her original rationale to why she wished to do it. I will send it to anyone who wishes to read it. No changes will take place in the 2005-06 school year. There appears to be lack of a clear understanding relative to what constitutes the school day as well as what bell schedule changes require a waiver and what bell schedule changes do not require a waiver from the state DPI. From communications with other principals in WI who have performance music at a zero hour, over lunch, or during an “8th hour” there isn’t consistency on whether a waiver from DPI is necessary. At this point given our most recent email communication from Mike George at DPI, there is a possibility that DPI would require us to obtain a waiver. While the reasoning we would provide on the waiver would meet the criteria necessary to get a waiver, align with MMSD strategic plan, Sherman CSR work, and while there is precedence for this move in other WI districts, a public meeting in front of the BOE is necessary. The timing on this would present a challenge for next school year. Furthermore, even though we may not need a waiver, I believe the course of action I outline below to be in the best interests of Sherman Middle School students, staff, families for the 05-06 school year.